The Academy chief told the Chamber, that “we have been working for six years on a plan to bring to L.A. a great museum dedicated to the art form associated with this area.” He also showed the first architect’s renderings of what the museum might look like, and explained that it would include three pavilions: (1) a section on the history of motion pictures, (2) a section on how movies are made, and (3) a section on the history of the Academy Awards. And as for project funding? He noted that the Academy had about one-fourth of the funds on hand necessary for the development and was planning a major fundraising campaign. He used the occasion to also announce that the Academy was not going to move ahead on the announced schedule due to economic conditions, but would continue to work on the space and refinements. They will not begin construction until the money is in hand or pledged. And as for those sweet, sweet renderings? 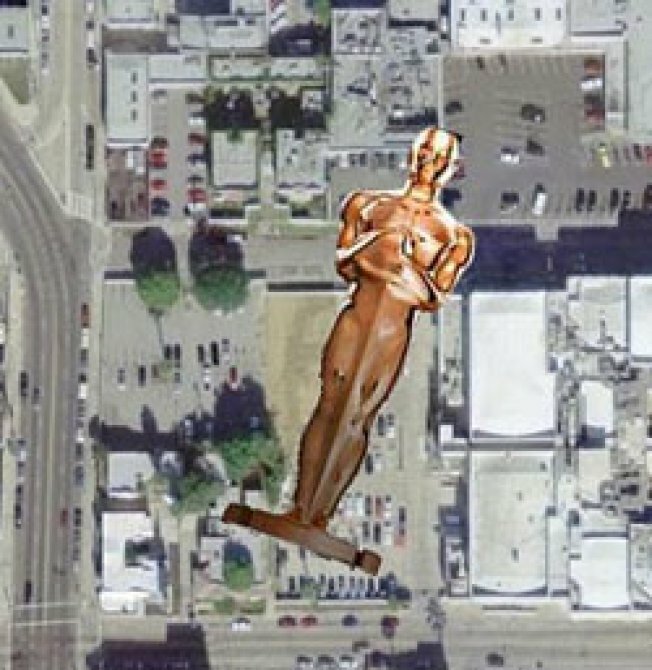 We contacted our Oscar friends but sadly received this response: "Some renderings were shown to those in attendance at the Chamber's event, but they have not been released and they are not in any way final. As a result, they have not yet been made available to the media for publication..." · Checking In: Academy of Motion Pictures Museum [Curbed LA] · More AMPAS Museum Madness: Yoga Holdouts! ArcLight Parking! [Curbed LA]For more stories from Curbed LA, go to la.curbed.com.